St Paul's is pleased to have a traditional thriving four part choir, with both adults and juniors, to support our worship. The choir frequently sings an anthem at the Sunday morning service and also performs other works for feast days and special services. 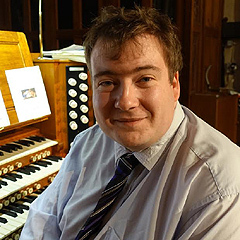 Recent major repertoire includes Haydn's Little Organ Mass, the Fauré, Rutter and Mozart settings of the Requiem Mass and Stainer's Crucifixion. The choir has an active social calendar and has undertaken Cathedral trips and tours to Dublin and venues in England. We are very proud of our choristers who make an enormous contribution to the church and its life. They participate in the RSCM's Voice for life programme. Choir rehearsals take place on Friday evenings in the church with juniors between 6.45-8pm and seniors 7.30-9pm. The choir is always pleased to welcome new members; for more information about joining the choir, contact the Parish Office. Meets on Fridays, 6pm - 6.30 in the choir vestry of St Paul's Church. School years 3-8: youngsters receive tuition on vocal technique and music theory with opportunities to be entered for music examinations with the ABRSM and RSCM. There is also the opportunity to sing in the Sunday services at St Paul's.